The U.S. Surgeon General reported that the estimated cost of drug and alcohol abuse in the United States is $442 billion each year. But there is a personal financial cost as well. Many people who experience a substance use disorder end up in financial ruin before they seek treatment for addiction. Having a substance use disorder can lead someone to amass mountains of debt. It is not uncommon while under the influence to make poor financial decisions, such as maxing out credit cards, taking out a second mortgage on a home, pawning possessions, and using payday loans. The financial impact of addiction may seem overwhelming once you enter addiction recovery, but there are several ways that you can slowly rebuild your financial health. If you have had issues with drugs and alcohol for many years, there is also the chance that you have not learned basic money management skills. This is the time to develop those skills as you get your first job after drug rehab. As with other aspects of recovery, you do not have to do this alone. Find a reputable source of information and start from scratch. You may take a personal inventory as part of your addiction recovery. At this time, you can expand that and also take a detailed financial inventory to get an honest assessment of your assets and liabilities. This may be a disheartening process, but the goal is to review your past behavior and uncover ways to improve in the future. Ask for help in handling money in sobriety and stay aware of potential triggers. 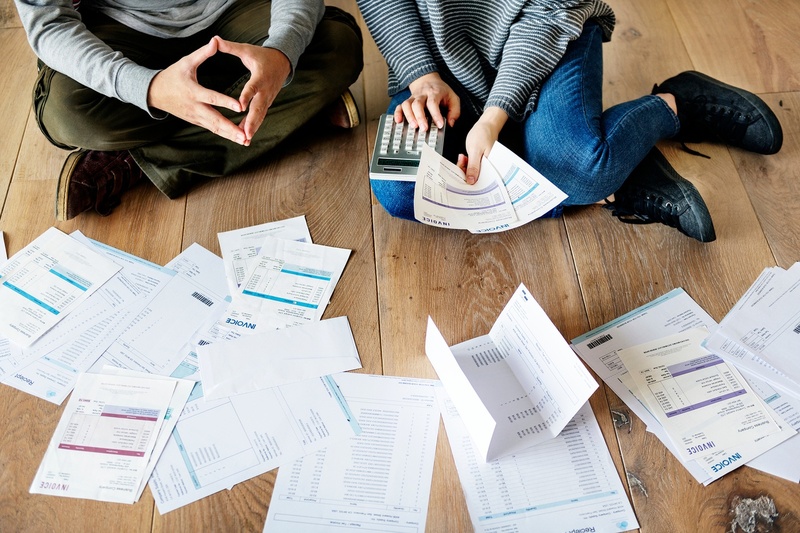 It might not seem like fun to track your spending, but this is the best way to gain control of your finances and begin whittling down your outstanding debts. If you do not know how to create a budget, there are some simple online tools and apps such as Mint.com that can be helpful. It might help you stay motivated if you set aside a small amount each week or month to celebrate with your recovery support friends. Addiction is a disease of excess and instant gratification. This does not translate well with financial security. There may be a temptation to overspend as a way to dull raw emotions. Some people in recovery from alcohol and drugs even turn to gamble, which can have disastrous financial and emotional consequences. Learn to separate your needs from your wants and seek additional support if cross-addiction could be an issue. Remember that your recovery should come first before getting too worried about settling old debts. Avoid anything that puts too much pressure on you when it comes to finances. Also, if having large sums of cash on hand could be a trigger, arrange for a trusted source to hold onto it. Recovering from addiction involves more than just overcoming alcohol or drugs. Sobriety offers you a chance to rebuild your life in a way that is healthier, more productive and more fulfilling. If you experience a substance use disorder, the first step is to get help at an addiction treatment center. Contact The Recovery Village now to learn more about your admissions options and to get answers to your questions about the treatment process.